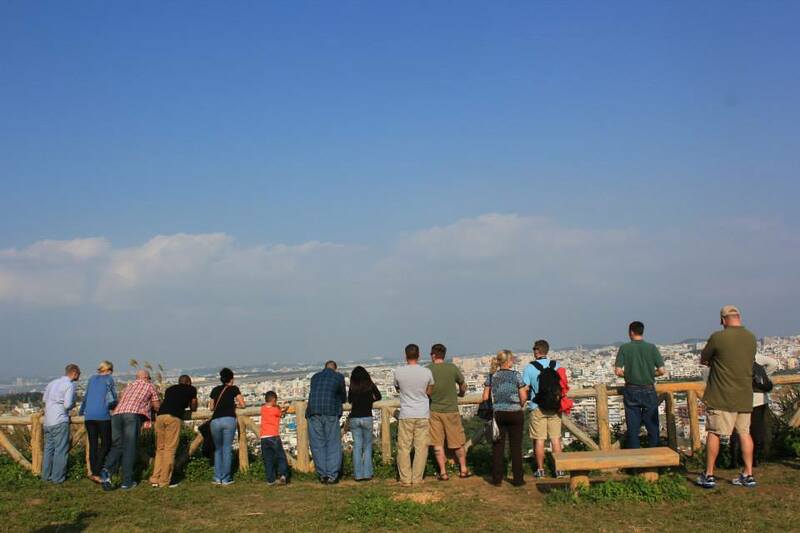 Gusuku are usually located in high places or hills overlooking a city. They are built with elongated sturdy stonewalls. Gusuku normally has a sacred area. People visit these sacred areas as a place for worship til today. 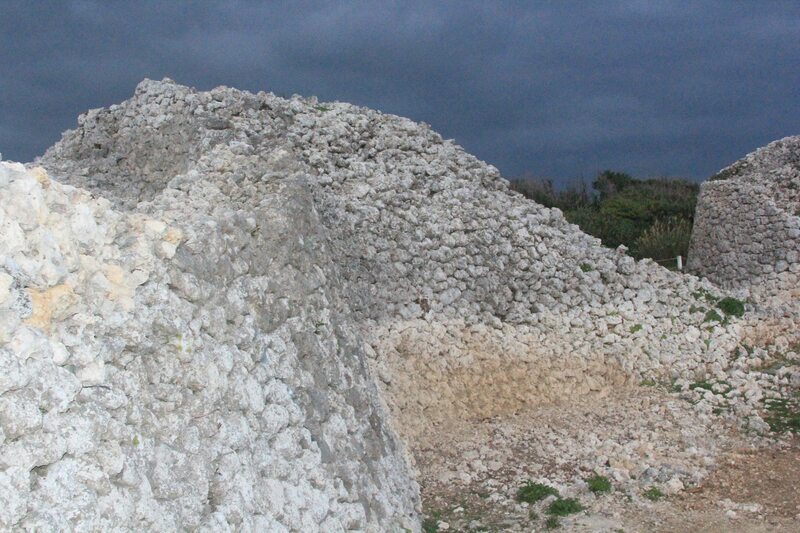 It makes most gusuku a part of Okinawa’s historical sites. 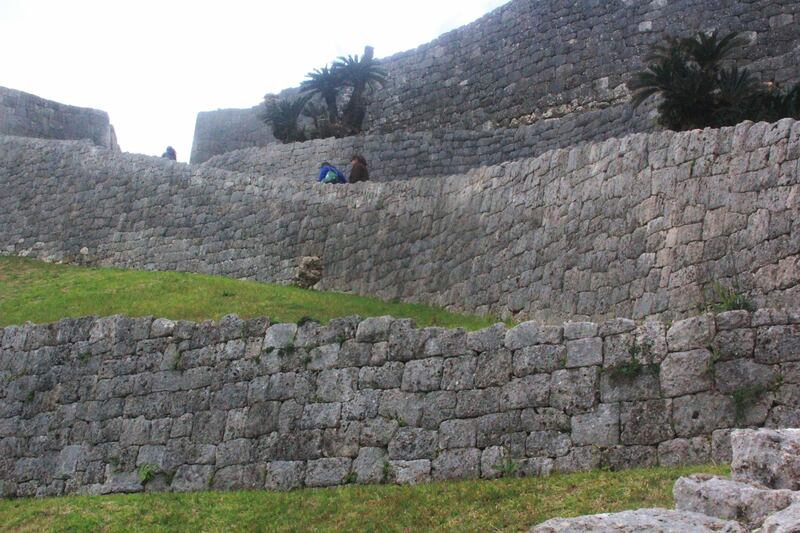 The most prominent one, because it was reconstructed after World War II, is the palace of Shuri. 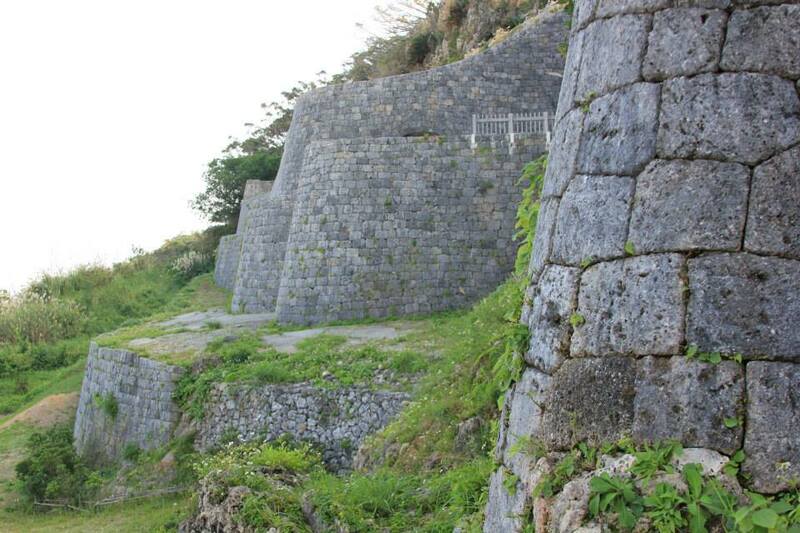 Gusuku are, in simple term, castles or fortress during the Ryukyu period. Most of their walls or main foundations are that remain. 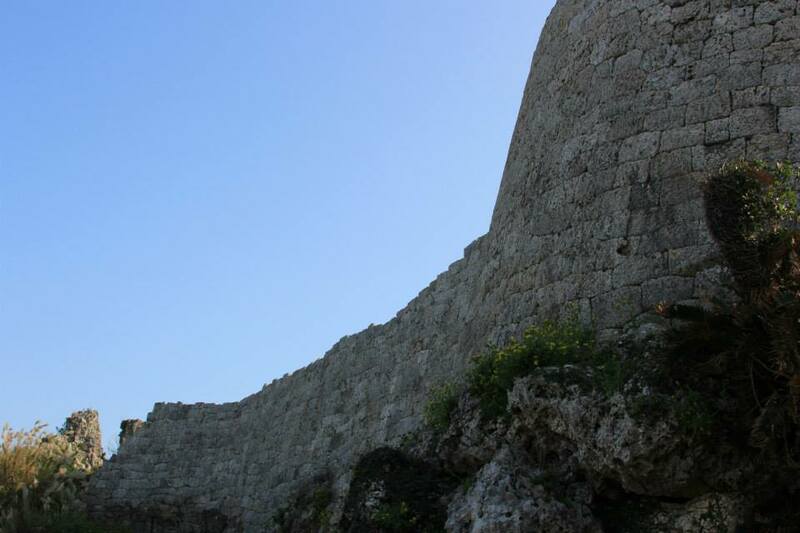 During the Ryukyu period, these fortress are as simple as the stonewalls, solely to protect kingdom people to do work and trades using the high grounds for outlook and the sacred areas to pray to guardian spirits. 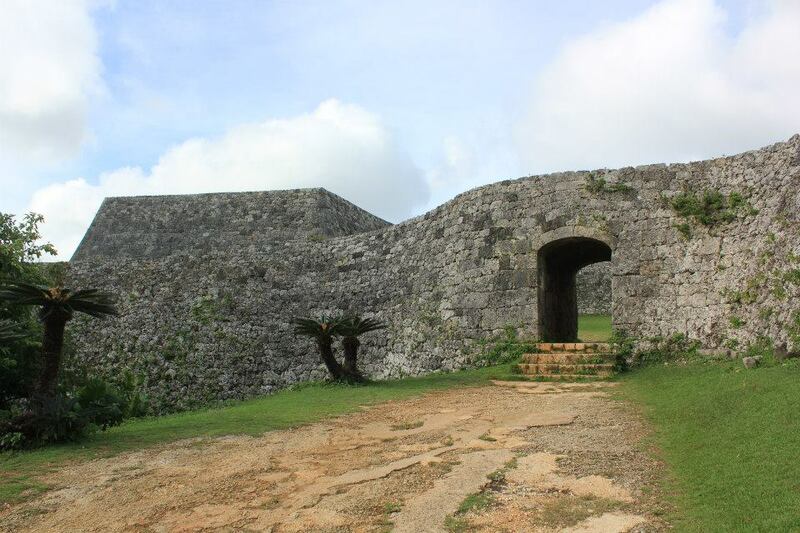 My most favorite Okinawa castle ruin is Katsuren. 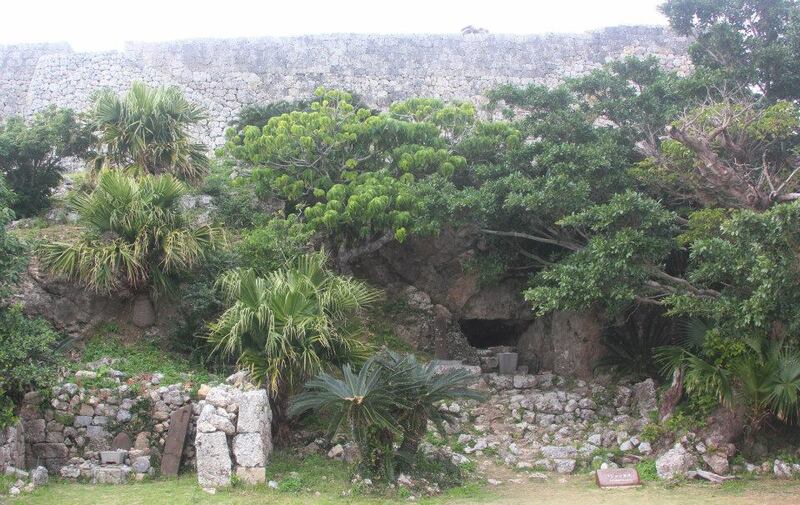 Wikipedia listed 20 castle ruins in Okinawa. I’ve been to five of it. I’m that awesome. 😀 It’s hard for a commuter to go places, yah know. The first one I visited is Zamiki Castle. We saw a couple on their kimono. The area we went to in Cape Kyan is actually a gusuku. Urasoe is also currently under reconstruction. Obvious recommended places to go to in Okinawa are Churaumi Aquarium, Shuri Castle and Okinawa World. Obvious must do and see are snorkelling, any festival, and cherry blossom. 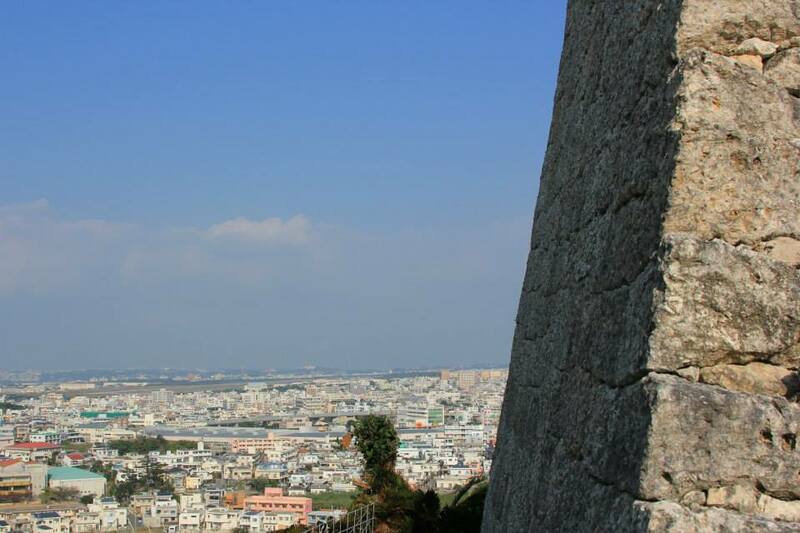 If you happened to have an ample time in Okinawa, consider visiting a gusuku or two. 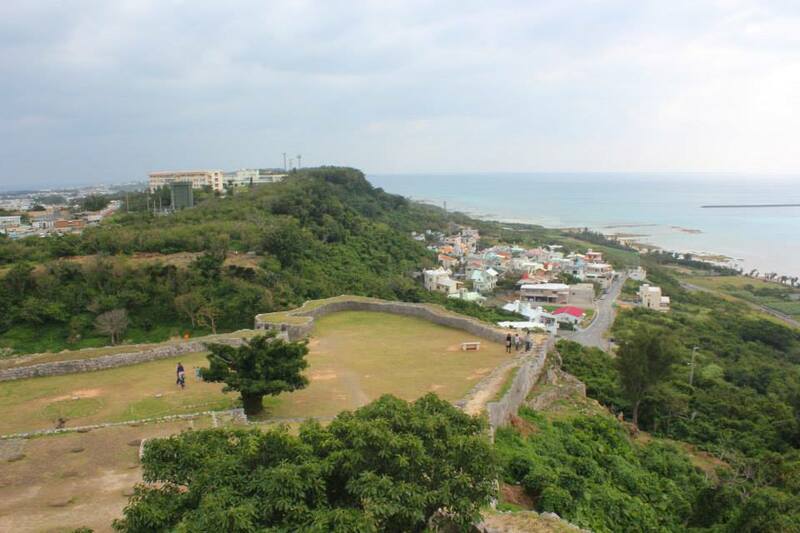 Reimagine Okinawa as it used to be and go see Okinawa in good views. This post has been quite an education for me, I had never heard of Gusuku before. Thanks for class, Rommel. 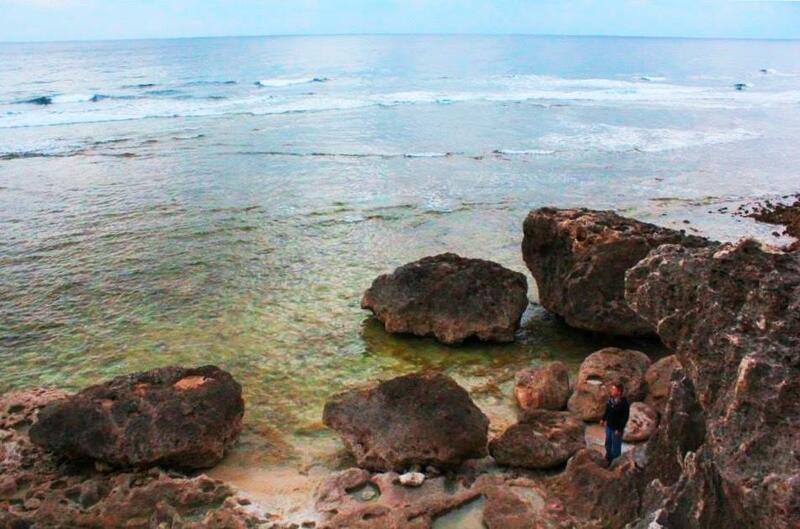 I’m still dreaming to visit Okinawa!! 🙂 Now that you have left, are you missing it? Or are you happy to be in a new place to discover? Not even a question. I think I miss most are the authentic things and food! I became a sushi and noodles elitist instantaneously. 😀 I’ve been a resident of Ventura, Ca for almost 3 years now. It’s a good thing there’s so so so so so many places to explore here in California. Great series of photos, this place looks wonderful…one day I hope to travel to Okinawa, so much to see. Thanks for the comment and visit Dalo. What an interesting place to visit.i really must get to Japan. I have visited Okinawa now- with you, Rommel! Did you ever tell us how and what you’re doing there, besides being an adventurous tourist? O.K., RIGHT!!! Next you’ll be posting from the Great Wall of China?! Love your photos, Rommel. I’ve also never heard of Gusukus before. Thanks for the eduaction. 🙂 Okinawa sounds like such a great and interesting place to visit. Such a fine view from up there Rommel, how that must have changed over the centuries … love the stone block curvy walls and echoing winding paths . 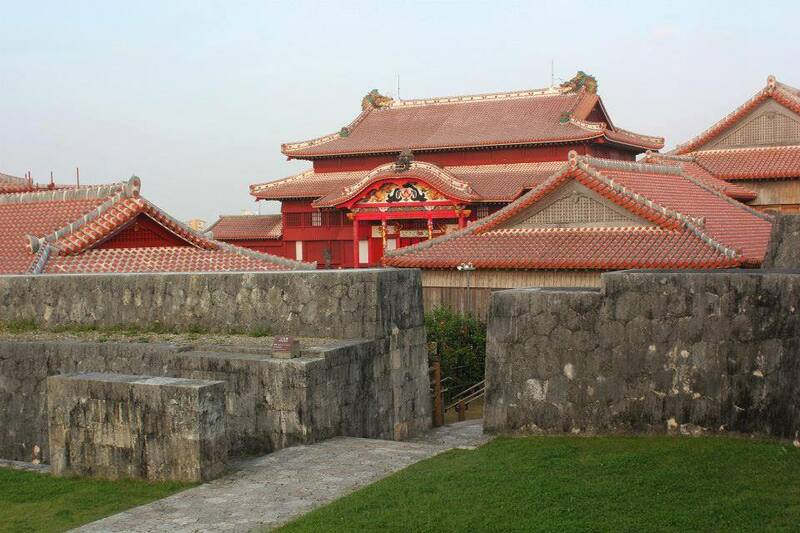 Ryukyu castles are quite different from mainland castles. Its looks is more similar to Chinese or Korean castle. Nice! Thanks for the tidbit. Beautiful and informative Rommel! Once again, thanks for taking me on your journeys and teaching me something new today! Thanks for the lesson:) The walls are so perfect. Building them must have been an amazing project. Your photos are beautiful. I could only imagine hauling the stones to these high grounds way back then. That’s one of the reasons I did not want to libe during those early eras :D.
I like the couple and their festive dress… The castles are rather stark. You’re right. All of it were destroyed by the war. Interestingly though, it”/ those sacred areas are actually the ones that survived. This is the first time i’ve heard of Gusuku. Sounds like they were a combination of worship place and fortress for protection. Great photos! The kimono couple are as adorable as can be…I wonder why they wear socks with their flip flops? Thanks for such an informative post and one more example of how Okinawa is so similar and, at the same time, so different from the rest of Japan. I can only imagine the comparisons. Thanks for the feedback. P.S As always great photographs ! Thanks. How I wish I explore more gusuku but I think I did fairly well. 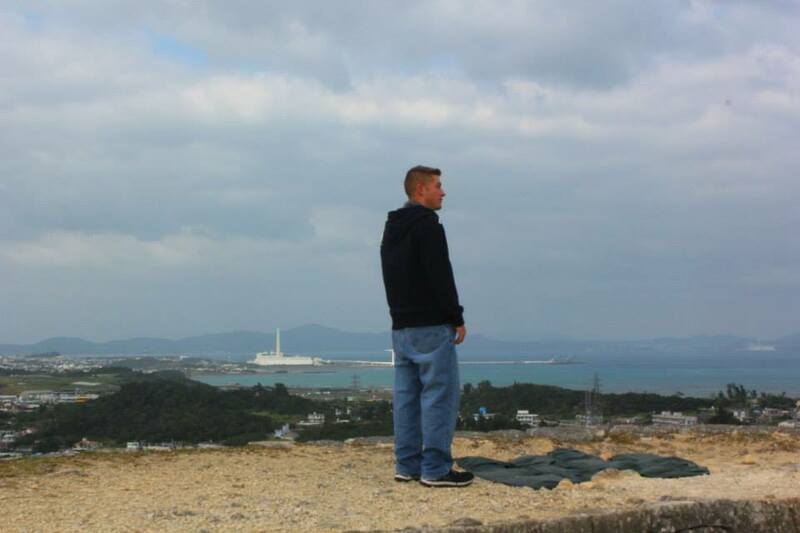 yay, more Okinawa pictures! Is that a picture of you in the 3rd-to-last photo? Also, I remember that there was an elaborate winding seawall near one of my favorite beaches in Okinawa, but for the life of me I can’t remember the name of it. Regardless, I remember it being really beautiful! I’m still going to post about Okinawa from time to time. No, that’s a travel buddy of mine. There is this thing called Western Union yah know. 😀 or Moneygram. Pleasure for me too to post about Okinawa again. The history connected to these ancient Gusuku’s (if I’m using the word correctly) is really fantastic. The rock walls and fortresses are just spectacular. It must have been wonderful to be there long enough to really soak up the color and the stories! I think you just don’t put an -s with a Japanese word even if it’s plural, or even if you’re using it together with English words. That’s what I got when I research about my previous posts. There’s more of Japan of course. Japan is such an enigma! Thanks for educating us a bit more every time Rommel. Glad to have imparted a little bit of knowledge. The tight fit of the rstones reminds me of how well the stones of Machu Picchu are placed together. I can just magine the labor of love 😀 they had to put in order to build these protection. Looks like they have to form the stones as well. 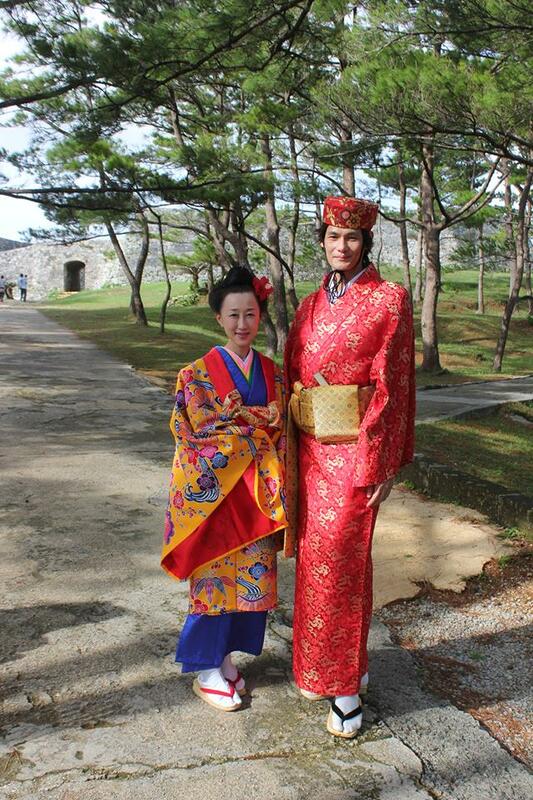 adorable kimono fashions…did you get a pair of those slippers for yourself while in Okinawa? or maybe they are just for costumes? 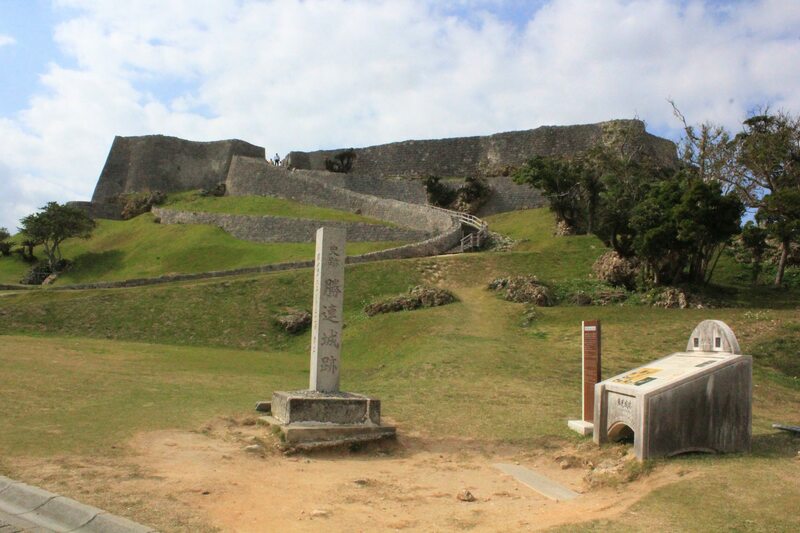 and inquiring minds want to know…why is Katsuren Rommel’s most favorite Okinawa castle ruin? 😛 i love this memory flashback.